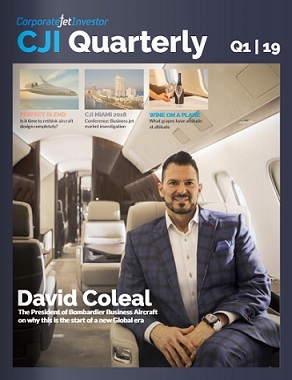 Good intentions, including simplifying cross-border aircraft finance transactions, drove the development and implementation of the Cape Town Convention, the International Registry, and now, the Global Electronic Aircraft Trading System (GATS). One can only stand in awe of the herculean effort required of their proponents to realize these achievements. 3. GATS, which uses the blockchain as its system of record, could end up recording property interests that overlap with registrations at the International Registry. What happens if there is a conflict between them? 7. Explains how the International Registry is rigid and leads to absurd consequences. This article concludes with some radical proposals, including amending the Cape Town Convention or that contracting states denounce it. The premise that supported the development, and that continues to support the implementation, of the Cape Town Convention is: harmonized rules among sovereigns – for (x) attaching and perfecting ownership, security, and other property interests in airframes, aircraft engines, and helicopters, and (y) the rights and remedies available to creditors and debtors in insolvency – should lead to greater certainty for financiers. A more certain environment should facilitate approvals of cross-border financings, and financiers should be able to charge less for their capital. The increased liquidity should lead to increased aircraft sales. Manufacturers will need to increase production and may need to increase their workforce accordingly. Manufacturers will also consequently increase their revenues. And, consumers will be safer and have a more enjoyable flight experience because airlines will purchase the latest aircraft with the latest technology. The business case overestimates the importance of bankruptcy and creditors’ rights. Each of the Aviation Working Group and the Cape Town Academic Project has published on its website projections that support these arguments. The first projection dates from 1988; the most recent from 2010. Neither the Aviation Working Group nor the Cape Town Academic Project has published any data that revisits its projections. Logically, perfecting ownership and security interests and consideration of insolvency issues presuppose that economic and commercial fundamentals justify a transaction in the first place. Another way to ask the question is this: if bankruptcy issues are of paramount importance in a transaction, is it appropriate for a financier to allocate the capital to that transaction and, if so, what pricing, credit, and other enhancements are necessary to mitigate the bankruptcy risk? In either case, placing undue emphasis on legal issues allows the tail to wag the dog. This is because financiers tend to expect a gross return. This means that the only costs they expect to incur in connection with a transaction are income taxes. If there is an enforcement event, the financier expects it may experience a cash flow issue as it incurs the costs to exercise its remedies. The financier would seek to recover those costs from its obligor and, failing that, the repossession and remarketing of the collateral. Therefore, credit and business fundamentals should prevail as financiers conduct sensitivity analyses to determine their exposure during a work-out. Structurally, the Cape Town Convention sets out a harmonized system as to the formation of registrable interests, but it fails as to the consequences of those interests. For the purposes of the Cape Town Convention, whether an interest has formed requires an analysis under the Cape Town Convention, which is supposed to be independent of any local law considerations. Registrable interests may form under any variety of documents, but one would still have to look at local law to determine the nature of the document in order to identify which interest arises. This is particularly true with leases. The registrations, which are not dispositive as to title, may give rise to a variety of consequences under local law, including as to insolvency. The Cape Town Convention sets out those consequences in a panoply of declarations. Contracting states choose from among those declarations. The OECD has lent external support in the form of a pricing discount to those declarations that it views as creditor friendly (see, section 4 below). This is one reason why transacting parties must still conduct diligence on a contracting state to understand how the Cape Town Convention should operate there. The next step in the diligence is to understand how the Cape Town Convention actually operates in that contracting state. Even if the Cape Town Convention and the legislation that implements it are supposed to preempt other rules under local law, the Cape Town Convention is entirely dependent upon the institutions in a contracting state to understand and apply the Cape Town Convention legislation correctly. As a practical matter, the Cape Town Convention’s utility is, therefore, limited to defining concepts that help market participants to analyze the process and timing issues that arise during transactions in distress, but it does not act as a short cut to facilitate local law diligence. Compounding the uncertainty is that there is a dearth of case law or other experience with the Cape Town Convention, particularly where enforcing it has worked as seamlessly as it should. Instead, there is evidence that the Cape Town Convention can very much be frustrated by the misapplication or misunderstanding of it by the institutions in a contracting state. The Aviation Working Group’s published materials have focused on justifying the Cape Town Convention on the basis of its potential to support an expansion of enhanced equipment trust certificates (EETCs) as a financing tool used by non-US airlines. The Aviation Working Group’s focus on EETCs appears to have been misplaced, and its published materials ignore both bilateral and syndicated facilities and other parts of the aviation market. Irrespective, some financiers elsewhere in the aviation market, commercial aviation principals, and credit ratings agencies have formed their views on the Cape Town Convention. 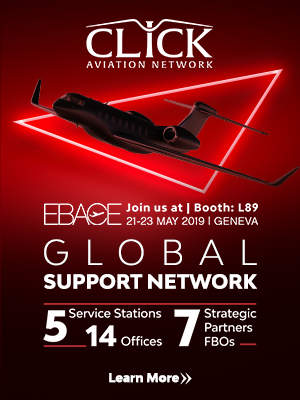 The broader market present at Corporate Jet Investor in London this year expressed a dim view of the Cape Town Convention. To the polling question, “Has the Cape Town Convention made a difference to business jet finance?,” 70% of the participants who responded voted, “No – it is just a piece of paper.” A panelist discussing the Cape Town Convention reminded the market that the Cape Town Convention was badly constructed to begin with. An example cited by that panelist is that the Cape Town Convention initially failed to consider helicopter engines. According to an article published by highly respected practitioners, the revised official commentary on the Cape Town Convention identified and attempted to solve the issue. Yet, the revised position regarding helicopter engines still results in significant complexity and appears to frustrate engine swaps, even among helicopters in the same fleet. In public fora, financiers have stated that the Cape Town Convention benefits them, so they require it. Sometimes, some financiers have even convinced their credit and risk functions to approve transactions on the basis of the Cape Town Convention. This is not a resounding endorsement of the Cape Town Convention. It is instead an expression of its marginal value: the Cape Town Convention supplements existing laws. A financier, whose business is to identify and manage risk, can assume that it is more beneficial than not to insist that registrations be made in accordance with it. The reality behind the scenes is more complicated. Anecdotal evidence suggests the approach followed by many financiers of commercial and corporate aviation assets in bilateral and syndicated facilities mirrors that of the credit ratings agencies who evaluate EETCs, although the methodology of those financiers is more of a black box. After evaluating a country’s risk rating, they evaluate their client’s credit to price a transaction and determine whether the credit supports the structural, economic, and legal features of that transaction. The analysis of those features will include an evaluation of the creditor’s ability to repossess the aircraft after taking into account the facts and circumstances of the transaction. The resolution of that issue does not impact the transaction pricing, because the pricing has already been set. Therefore, these financiers do not appear to offer a specific, liquidated pricing benefit for a contracting state’s compliance with the Cape Town Convention. EETCs are attractive because they may permit an airline to access the capital markets to close a debt transaction where it may achieve for that transaction credit ratings that exceed those of the secured obligations of the corporate parent. Before the Cape Town Convention became effective in 2006, there were a few EETCs issued by a few non-US airlines. Then a break occurred, which ended in 2012. Since then, the non-US issuer market, including transactions where issuers were located in jurisdictions that are non-contracting states, has been limited to 13 transactions issued by seven airlines. According to interviews published in 2018 by reputable service providers with unidentified airline principals that are publicly available, the low level of non-US airline EETCs is not surprising. The reasons included both business fundamentals and the availability of alternative sources of capital, as well as the high transaction costs and the invasive disclosure required to access the capital markets. Materials from the 2019 AirFinance conference in Dublin confirm that the non-US airline EETC market remains thin. The methodologies of two of the three credit ratings agencies that have rated non-US airline EETCs suggest they view the interplay of creditors’ rights and insolvency procedures under local law as a gating issue to determine whether an EETC may be appropriate for a non-US airline to consider. Their actual analysis starts with credit fundamentals, including analyzing a sovereign’s risk rating, before turning to the risk rating of a corporate located within the sovereign. Then the credit ratings agencies analyze creditors’ rights and the insolvency process in greater detail. That detail depends on local law, irrespective of whether the Cape Town Convention has been implemented. Where the Cape Town Convention has been implemented, these credit ratings agencies explicitly recognize that the behavior of a contracting state is not necessarily indicative or binding on other contracting states. For these two credit ratings agencies, the critical legal issue is: post-default, how long must an airline’s secured creditors wait without payment by the airline before they can repossess their collateral, and how much confidence may the secured creditors place in the process defined by the applicable legal regime. Their ratings consider the interplay of these creditors’ rights issues with the enhancements present in a transaction, but they do not explicitly link any pricing impact to the insolvency issues. Rather, the enhancements in any given EETC dictate pricing improvements through a notching methodology. In other words: the Cape Town Convention has historically been neither sufficient nor necessary to justify the pricing of an EETC. The third credit ratings agency states that the Cape Town Convention is the most important key factor in its analysis. Yet, this credit ratings agency softens the apparent strength of this statement itself by declaring elsewhere that: (x) an airline’s credit fundamentals impact the cash flows directly or indirectly depending which tranche of the EETC is being analyzed; and (y) the analysis will be impacted by judgment, which may support variations from its methodology. This flexibility is absolutely appropriate to permit individuals to evaluate and prioritize real world events that may occur at inception and during the life of an EETC. Post-inception upgrades and downgrades of EETC tranches and their issuers where the Cape Town Convention is effective show that economic, structural, and political issues drive the in-life pricing of EETC tranches. For example (without belaboring the issue): one credit ratings agency limits the highest rating a tranche can receive to the rating of the liquidity provider, even where the issuer is located in a contracting state and is judged by some have has having an insolvency regime equivalent to that of the United States and where that contracting state has a credit rating that exceeds that of the liquidity provider; and another credit ratings agency stated that tranches of an EETC would have been rated higher but for its view of the contracting state’s institutions, even though the enhancements of that transaction were structured to reduce exposure to that contracting state. 4. The OECD offers a liquidated discount. Who cares? The OECD’s 10% discount on the minimum premium rate appears to be the only benefit directly linked to the Cape Town Convention that has been liquidated. This discount only applies where an export credit agency-supported financing is attractive to a borrower. Some contracting states may make the IDERA declaration to expedite the deregistration of aircraft. This remedy is powerful for financiers of airlines. This is because airlines use the aircraft to generate their revenues and, thus, are reluctant to part with them. Conceptually, IDERAs are much less useful to repossess corporate aircraft. There, the aircraft’s value proposition tends to be the facilitation of core business. In distressed circumstances, an owner or lessee may elect to return, or otherwise dispose of, an aircraft to eliminate the financial burden the aircraft then represents. Financiers in the United States of corporate and commercial aircraft registered there are less likely to use an IDERA because they would want the aircraft to remain in the United States to facilitate remarketing. Where de-registration is appropriate, the FAA already provides remedies that are (and were) just as powerful. 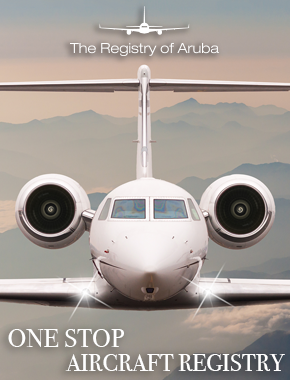 In other words, from both commercial and corporate aviation perspectives in the United States, the IDERA is nice to have, but hardly essential, and the cost of compliance with the Cape Town Convention starts to look expensive compared to its benefits, even if the cost, in absolute terms, is nominal. The Irish courts have exclusive jurisdiction over the International Registry. This means that Ireland has effectively usurped the power of the courts in all of the contracting states. In an unreported Irish case where a fraudulent lien had been removed domestically in the United States, the plaintiff had to sue in Ireland to cause the International Registry to discharge the corresponding international interest. This was because the International Registry elected not to automatically recognize the American judgment. Plaintiffs incurred additional costs and delays. Increasing costs and complexity to resolve disputes, especially where the matters are procedural, does not serve business interests. One may legitimately ask how much more costly and more difficult a contested matter would be. Using the Cape Town Convention and International Registry is not simple or intuitive, and there is operational asymmetry. The rules are so complex that the Legal Panel of the Aviation Working Group published a 183-page practice guide, and the official commentary runs approximately 800 pages. The International Registry is not available to anyone with a credit card. Instead, one must apply and be approved to access, view, and/or use it. Thereafter, one must appoint an administrator to manage the user’s relationship with the International Registry. This means that either a party dedicates internal resources to administration or outsources it to a service provider. Anecdotally, even large institutions that could facially incur the burden of administering their relationship with the International Registry have outsourced it because the administration was too difficult specifically due to the low quality of the interface’s user experience. Consent of parties on both sides of a transaction is required to register and discharge contracts of sale and international interests. The asymmetry arises because, at transaction inception, parties have every incentive to cooperate. The incentive to cooperate reduces when a transaction terminates or becomes contentious, and the incentive disappears entirely when the party whose consent is required ceases to exist. The reliance on consent to discharge increases the risk of vestigial interests creating title defects. The practitioners’ guide to Cape Town Convention aircraft protocol explicitly recognizes that the Cape Town Convention and the International Registry have placed the onus on parties to deal with this inherently absurd situation. The proposed solution – that parties take a view on whether to clear a lien – is unacceptable because of the leverage of the International Registry as an international institution. The International Registry is effective in upwards of 70 countries, which means that wrongful registrations officially create title defects across all of those countries. Compounding this problem is that registrations do not lapse, even if the underlying interest no longer exists. The Cape Town Convention also creates a perverse incentive for parties to be difficult. Parties might try to attach non-consensual liens in contracting states where the rules might be permissive of what non-consensual liens can be attached or fail to identify and sanction the attachment of fraudulent liens. Those parties can, with relative impunity, be negligent or, worse, difficult, and withhold consent in order to extract undue benefits, particularly in jurisdictions where they have no overriding obligations to act commercially reasonably or in good faith. The Cape Town Convention is an example of overregulation where complexity undermines legitimacy. It is hard to amend treaties. Instead, the official commentary was revised to change interpretive positions to resolve problems the Cape Town Convention created. These new interpretations created still more problems. Whereas in an analogue world, time can heal all wounds, the digital world runs the risk of crystallizing them. Registrations never lapse, and GATS incorporates blockchain technology which records its data, both accurate and erroneous, for perpetuity. The build-up of vestigial registrations and inaccurate blockchain recordation will, over time, eliminate their usefulness as transnational arbiters of property rights, even if neither is supposed to be dispositive as to title. Currently, GATS is intended to record trust transactions, but it could be expanded to record aircraft sale, purchase, leasing, and security attachment transactions. At that point, an evidentiary conflict may result from an overlap with registrations made at International Registry and data recorded in the GATS blockchain. These issues all increase uncertainty and litigation risk. At both the Dublin AirFinance conference and the London Corporate Jet Investor conference, market participants expressed their expectation that an economic contraction may already be leading to increased risks of insolvency and repossession. These circumstances may provide a perfect testing ground to see whether the remedies available under the Cape Town Convention, including, specifically, the IDERA, function as promised. Unfortunately, on February 4, Aircastle issued a press release that, in Brazil, the Cape Town Convention did not function as it should have. Thinking radically, maybe it is becoming appropriate to revisit the Cape Town Convention and the International Registry. If the Cape Town Convention and the International Registry cannot be rationalized, then maybe parties in contracting states will start to push for the denouncement of the Cape Town Convention. As a transaction execution facilitation device, GATS may be useful without the Cape Town Convention, the International Registry, or the blockchain. GATS should be evaluated carefully to determine if it could result in the inhibition of legal behaviors that the market would have otherwise permitted.